The supposed health benefits of red wine have been touted for centuries, and more recently, scientists have taken a closer look at one specific compound contained in red grape skin: resveratrol. Numerous studies through the years have shown resveratrol to be a potentially effective treatment in humans for everything from slowing the cognitive decline in Alzheimers patients, to helping combat heart disease with its natural anti-inflammatory properties, and even fighting obesity. So it should come as no surprise that resveratrol based supplements are beginning to trickle into the equine health market. 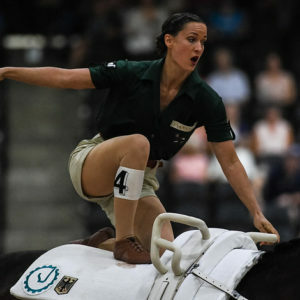 What’s good for me should be good for my horse, right? Well, before you pour that second glass and toast to the latest “medical miracle” there are some things to consider. Resveratrol research is still relatively new, and if you know anything about supplements, you’re aware it does not require a clinical breakthrough to land these products on shelves. Imprecise key factors like dosage levels, absorption rate, and the quality of the resveratrol itself have kept the market cloudy. Last year, researchers at Texas A&M studied the effectiveness of a resveratrol supplement for treating hock lameness in performance horses. The conclusion? 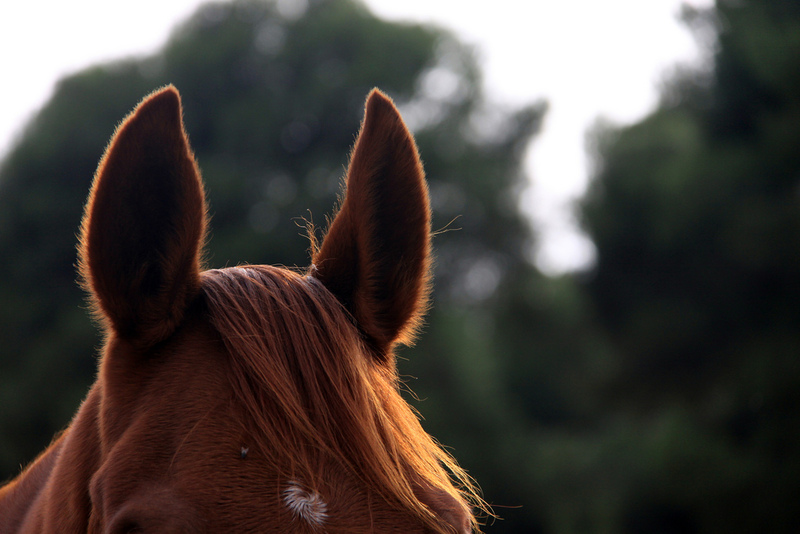 95% of the horses administered the resveratrol supplement Equithrive Joint showed noticeable improvement after four months of treatment (compared to 70% improvement from the placebo group). 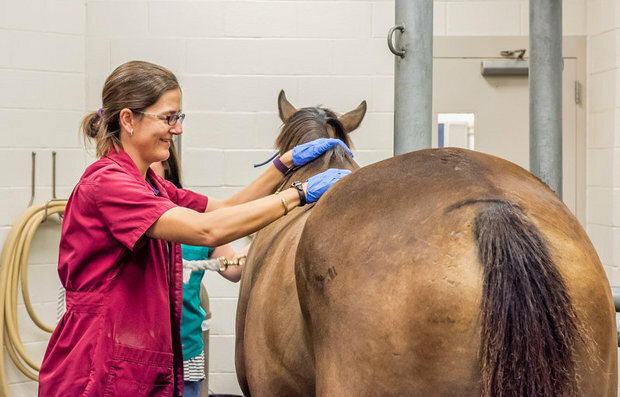 “This type of study is especially rare in the equine supplement industry due to time and cost involved, and I was very pleased that Equithrive raised the standard for the industry,” said Dr. Ashlee Watts, DVM, who led the study. So what exactly makes Equithrive different from other resveratrol supplements? Equithrive products contain a proprietary form of resveratrol called Resverasyn®, which is 99% pure resveratrol that’s been reduced in size to absorb easily and encapsulated to protect the compound from deterioration before reaching tissues in the body. See, while most people assume all resveratrol supplements are created equal, that is not the case. The commercial source for the vast majority of resveratrol products is a shrub called Japanese Knotweed (Polygonum cuspidatum) that is native to Asia and cultivated in China. Chinese manufacturing firms extract resveratrol from the rhizomes (underground stems) of the shrub and produce knotweed extracts that have resveratrol concentrations ranging anywhere from 20% to 98%. The corresponding percentage of impurities in these resveratrol products can range anywhere from 2% to 80%— there’s really no way for the consumer to know. One of the impurities in Knotweed-based resveratrol products is a compound called emodin, which has been linked to serious gastrointestinal distress. The questionable purity and safety of knock-off resveratrol products derived from Japanese Knotweed raises cause for concern. 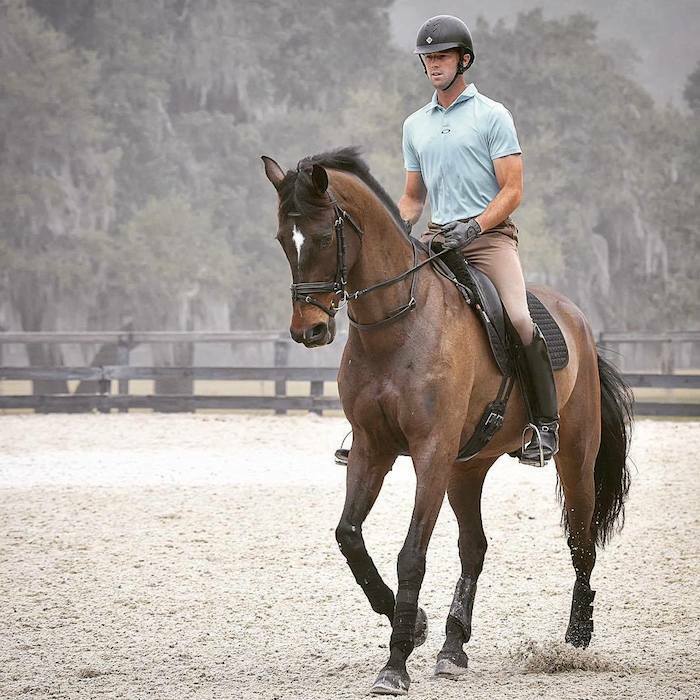 Equithrive on the other hand was developed by this dude, Dr. Patrick Lawless, in his company’s lab in Lexington, KY.
95% of the horses administered the resveratrol supplement Equithrive Joint showed noticeable improvement after four months of treatment. Team Equithrive rider Will Coleman. The benefits of Resverasyn® go well beyond joint health. It’s also the key component in Equithrive’s other product Metabarol, which promotes healthy metabolic function. A 2013 study at the Gluck Equine Research Center found that 45 days of continuous Metabarol administration reduced insulin levels by 25-30% in horses with Equine Metabolic Syndrome (EMS). Like its “less pure” cousin, Resverasyn® is not a miracle drug that will make your old retiree ready for a 4-star; nor will it completely heal your mare of osteoarthritis. But it is proven to be a safe and effective compliment to the daily diet without all the negative side effects, and unlike most supplements, you know exactly what you’re getting with each dose. Now that’s news we can drink to. All content is for informational purposes only. Contact your local veterinarian if you have any questions regarding the health of your animals.